Chennai, October 5th 2018: Nippon Paint (India) Private Limited Asia’s leading paint manufacturer was bestowed with the most celebrated “Prestigious Brand of Asia 2018-19” Award, in recognition of its most influential legacy and high sustainability in the Asian market. Mr. S Mahesh Anand, President and Mr Mark Titus, GM – Marketing, Nippon Paint (India) Private Limited (Decorative Division) were presented the Award at the Global Business Symposium- 2018 hosted by Herald Global- ERTC Media and BARC (Brand Advertising Research Consulting) Asia, held at the Murjaan Ballroom, Madinat Jumeirah, Dubai. Expressing delight at winning the award, Mr. S Mahesh Anand, President – Nippon Paint (India) Private Limited (Decorative Division) commented, “Nippon Paint is extremely happy to receive this iconic award from BARC Asia. This recognition serves as an endorsement for the high standards adopted by Nippon Paint in emerging as a leading brand offering breakthrough paint products, with an emphasis on innovation and eco-friendliness. It further does much to reiterate our objective of transforming our economy positively”. Prestigious Brands of Asia is a platform to bring into lime light the success stories of the brands from the Asian countries that have achieved consistency with brand equity by making numerous changes and tactical shifts in harnessing customer attention. 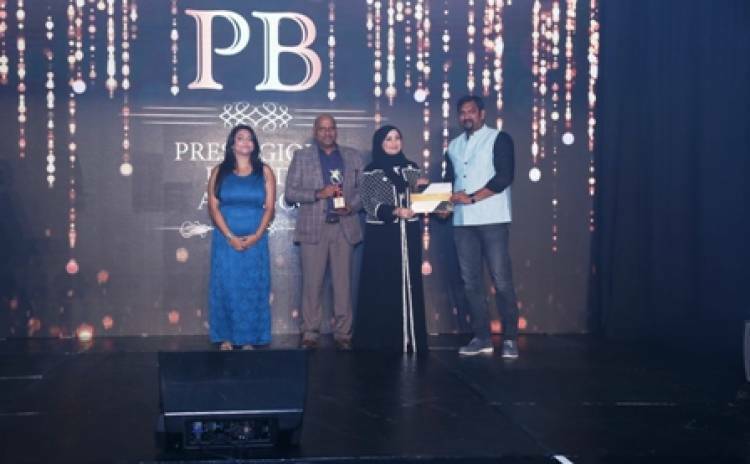 More than 500 brands were considered and final 50 were chosen for the honours, after an extensive three phase research conducted by BARC (Brand Advertising Research and Consulting) Asia, one of Asia’s leading independent brand listing agency. The jury panel also consisted of Mr. Chris Harcourt Duffy, CEO- Publicis Thailand; Mr. Andrew Wong, Director- Blue Totem Com Singapore; Mr. Arnaud Verchere, Founder- Tonic International UAE; Mr. Arun Ohri, Director- Adfactors PR India; Mr. Akanksha Goel, Founder- Socialize Agency. For the listing of 2018-19 edition, the brands were chosen from 14 different Asian countries.